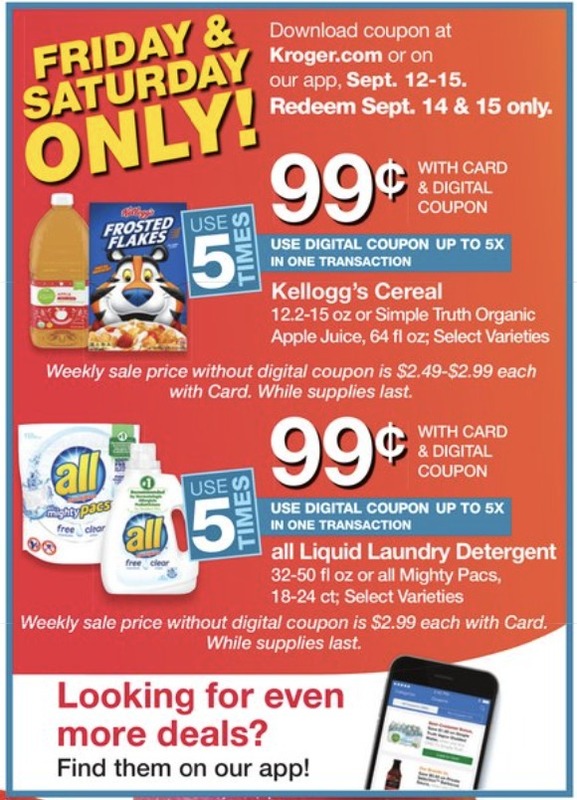 Don’t forget that you can start redeeming those big digital coupons. You can get the following deals now through Saturday, September 15th. Pick up your favorites while you can! I went to three different stores here in suburban Atlanta (one on Friday evening and two on Saturday morning), and none of them had any All left. The manager at the third store told me that all of the metro stores had sold out very quickly and that the sale was being extended. That explained why the expiration date on my digital coupon had changed from 9/15 to 9/22!